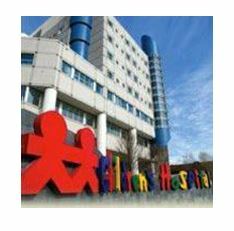 The PCICU is an 18-bed unit that serves as the regional intensive-care provider for pediatric patients with acquired or congenital heart disease. We care for patients with all types of cardiac conditions. Whether it is an ASD, Tetralogy of Fallot, the need for a heart transplant, or Hypoplastic Left Heart Syndrome, we have the resources and expertise to care for patients during their most critical time. Ventilators, peritoneal dialysis, Ventricular Assist Devices, Berlin Hearts, and ECMO are just some of the treatments we offer our patients. We pride ourselves in our critical thinking, autonomy, and ability to provide excellent patient care in a fast-paced setting alongside a close-knit team of healthcare professionals. We offer an extensive critical care orientation, clinical ladder opportunities, shared governance, and many on-site educational opportunities. Come join our team and be part of the excellent, innovative care we provide in the PCICU. We are leaders in information technology with advanced computerized monitoring systems, physician order entry, and computerized nursing documentation.